Document Notes: Apparently an effort to resolve complaints about food while held in Seattle. It appears that there is interest at higher levels concerning the treatment of enemy aliens. 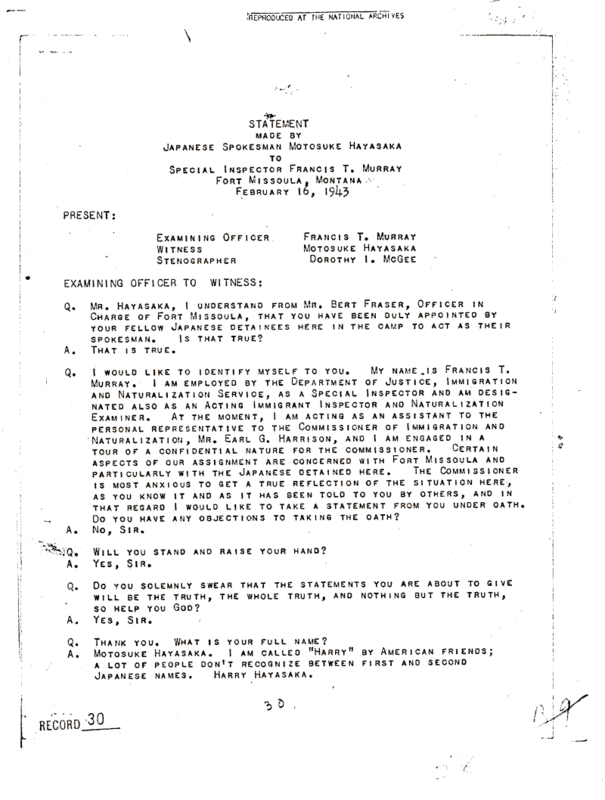 Conpared to how U.S. citizens were treated by the Japanese in the Philippines these complaints rank below insignificant.